I took my moms Windstar to the dealer for the recall service in regards to the rear axle, front subframe, and some cable work. 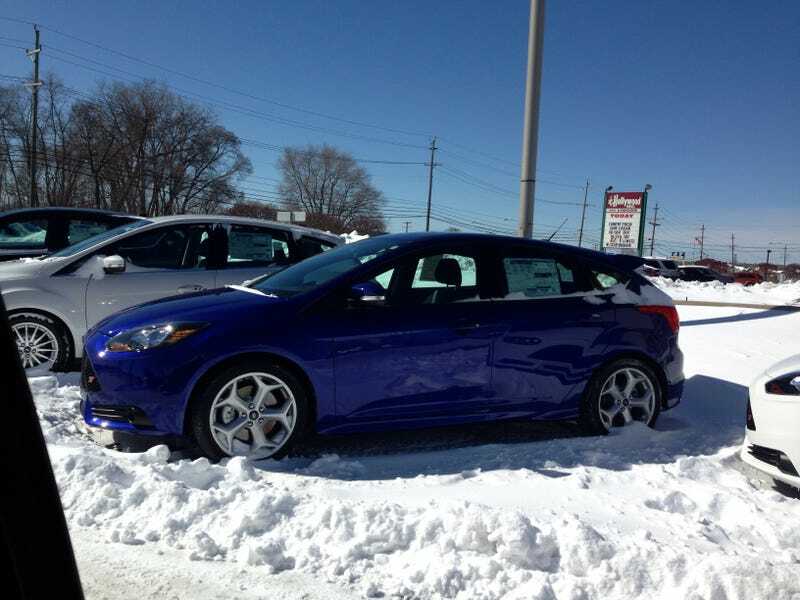 As I pulled in, there was my ST sitting on the lot! I walked over and looked at it and boy is it a looker! Can't wait to pick it up in a couple days! Until then, I was given a fully loaded Chevy Cruze to ride around in until the service is done. I've wanted to test this car out for some time, and now I get the chance; and it's got TURBO! This is an awesome day!